Desert Sun Toyota is conveniently located in Alamogordo, Alamogordo near Tularosa and offers extensive business hours so that you can always find the time to drop by and discuss your bad credit financing needs. Our Toyota dealership believes that every driver has the right to cruise behind the wheel of a safe vehicle that caters to their needs and wants, and our team of dedicated professionals will help you find the used Toyota vehicle that does just that! Talk to us about a recent divorce that impacted your credit score, or let us know about the bankruptcy filing you dealt with last year. Our team of Toyota professionals will treat you with the respect and discretion that you deserve, and will work diligently to provide for your bad credit financing needs! Make the trip over to see our friendly finance department or browse the resources of our easy-to-navigate Toyota website! Reach out to our lenders on your behalf! 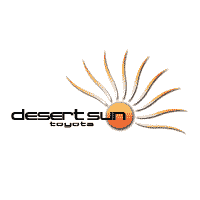 Desert Sun Toyota understands how difficult it can be to maintain a pristine credit rating, and we will not hold financial mistakes against you. Instead, we’ll look for ways to help you secure sub-prime auto loans that also help you improve your credit rating over time so that you can build a solid financial foundation you can rely on in later years. Don’t let a sleek used Toyota slip through your fingers, contact Desert Sun Toyota today for the bad credit financing that you deserve!